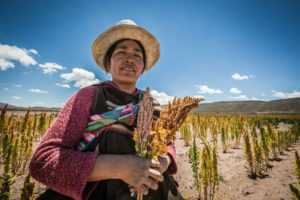 Hunger, malnutrition, lack of micronutrients, overweight and obesity have greater impact on people with lower income, women, indigenous people, Afro-descendants and rural families in Latin America and the Caribbean, according to a new UN report. 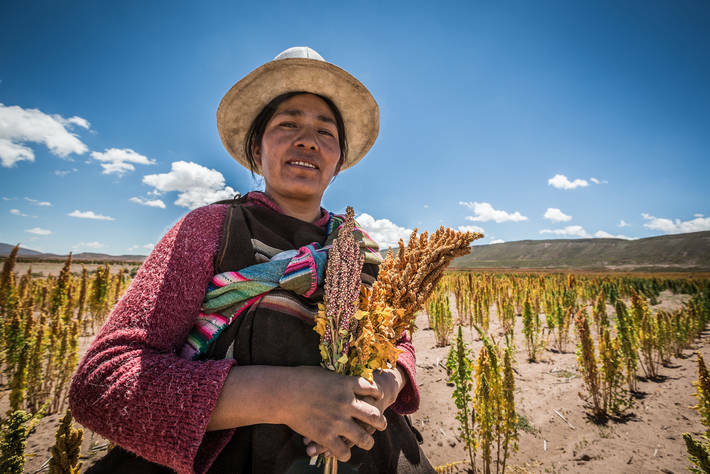 According to the report, in Latin America, 8,4 percent of women live in severe food insecurity, compared to 6,9 percent of men, while indigenous populations generally suffer greater food insecurity than non-indigenous people. In ten countries, children from the poorest 20 percent of households suffer three times more stunting than the richest 20 percent. 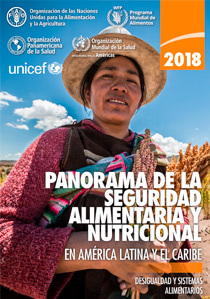 The Panorama indicates that one of the main causes of the rise of malnutrition in vulnerable population groups are the changes that the region’s food systems – the cycle of food from production to consumption – have undergone. To respond to growing malnutrition, the Food and Agriculture Organization of the United Nations (FAO), the Pan American Health Organization (PAHO), the United Nations Children’s Fund (UNICEF), and the World Food Program (WFP), call on countries to implement public policies that combat inequality and promote healthy and sustainable food systems. Obesity has become the greatest nutritional threat in Latin America and the Caribbean. Nearly one in four adults is obese. Overweight affects 7.3 percent (3.9 million) of children under 5 years of age, a figure that exceeds the world average of 5.6 percent, the Panorama report indicates. “Obesity is growing uncontrollably. Each year we are adding 3.6 million obese people to this region. 250 million people live with overweight, 60 percent of the regional population. The situation is appalling,” said FAO’s Regional Representative Julio Berdegué. “Although undernourishment persists in the region, particularly in vulnerable populations, we must also consider obesity and overweight, which also affect these groups. A multisectoral approach is needed, one that ensures access to balanced and healthy foods while addressing other social factors that also impact on these forms of malnutrition, such as access to education, water and sanitation, and health services”, said Carissa F. Etienne, Director of PAHO/WHO. “We must advance access to universal healthcare so that all people can receive the care and prevention measures they need due to malnutrition and its long-term consequences”, she added. According to the Panorama, hunger affects 39.3 million people in Latin America and the Caribbean, 6.1 percent of the regional population. Between 2015 and 2016, the number of undernourished people grew by 200 000 people. Between 2016 and 2017, the increase was 400 000; This shows that the speed of deterioration is increasing. Since 2014, Argentina, Bolivia and Venezuela saw increases in their number of undernourished people. The largest increase occurred in Venezuela: 600 000 more people only between 2014-2016 and 2015-2017. Venezuela has become one of the countries with the highest number of undernourishment in the region (3.7 million, 11.7 percent of its population), along with Haiti (5 million, 45.7 percent of its population) and Mexico (4.8 million, 3.8 percent of its population). It should be noted, however, that in Haiti and Mexico hunger has fallen in the last three years, as well as in Colombia and the Dominican Republic. They are the only four countries that have achieved this reduction since 2014. According to the Panorama, social and economic inequalities are also apparent in child stunting. In Honduras, stunting affects 42% of children in lower income families and only 8 percent of those living in higher income contexts. In Guatemala, the difference is greater: stunting affects the poorest 66 percent and only 17 percent of the children of higher-income families. Stunting is also greater in the indigenous population. In Ecuador, 42 percent of indigenous children lived with chronic malnutrition compared to 25 percent of the national average (2012). In Guatemala, stunting affected 61 percent of indigenous children in 2014-2015 and only 34 percent of non-indigenous children. Children in rural areas also have worse indicators than those living in urban areas. In Belize, Guatemala, Haiti, Honduras, Mexico, Nicaragua, Panama, Peru, and Suriname the rates of stunting in rural areas exceed the rates observed in urban areas by more than 50 percent. “Gender equity is a valuable policy instrument to reduce inequalities We need to strengthen it in practice, which involves promoting equality in access and control of household resources, as well as in decisions to empower women in inequality”, said Miguel Barreto, Regional Director of WFP for Latin America and the Caribbean.